Do you like the items you’ve seen on the blog? 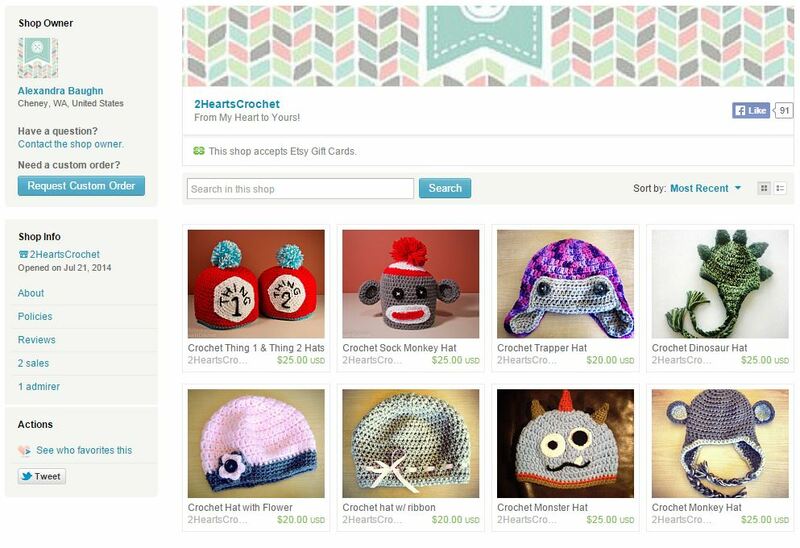 Interested in other Two Hearts Crochet goodies? Then make sure you visit the Two Hearts Crochet Etsy Shop! Lots of people don’t know how to crochet or knit or just don’t have the time to make something. So if you’re in one of those boats and just want to buy a finished version of one of these projects, stop by my Etsy shop and take a peek at what is available for purchase. Some of the items listed for sale aren’t even included on the blog, so hop on over and take a look! The Two Hearts Crochet Disney Princess dolls are now available on Etsy! Visit the Two Hearts Crochet Etsy Shop today and order yours today!